As a travel writer, I get to visit some pretty cool places. And last week, I was fortunate to spend some time in a place that’s recognized worldwide for sustainable travel and has been voted by National Geographic Traveler as one of the world’s Top 10 geotourism destinations. Was I in Costa Rica? The Galapagos? No, I was in my hometown of Toronto. To be specific, I was at the wonderfully eco-friendly Evergreen Brick Works, which, as it says on its website, is “a community environmental centre that inspires and equips visitors to live, work and play more sustainably.” The Brick Works is run by Evergreen, a national charity that aims to deepen the connection between people, cities and nature. But that’s just the tip of it—the corporate-speak elevator pitch, if you will. But kind of like how nature is best experienced in the raw, the Brick Works isn’t justified in a one-page web description. 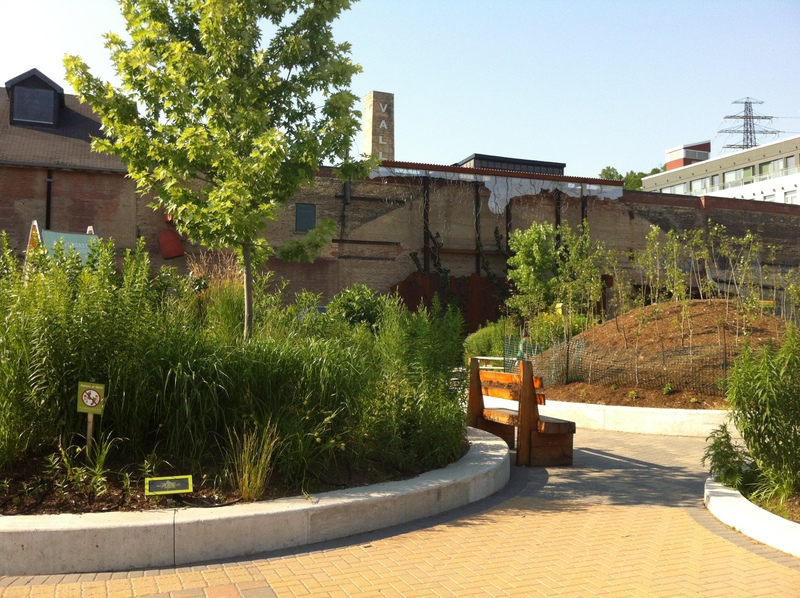 In person, the Brick Works is a rugged, beautiful example of what can happen when you combine urban living with nature. Located in the Don Valley, in downtown Toronto, it feels so far removed from traditional city life that you can easily convince yourself you are in Ontario’s north, with the exception of the faint sounds of the nearby Don Valley Parkway floating through the trees. 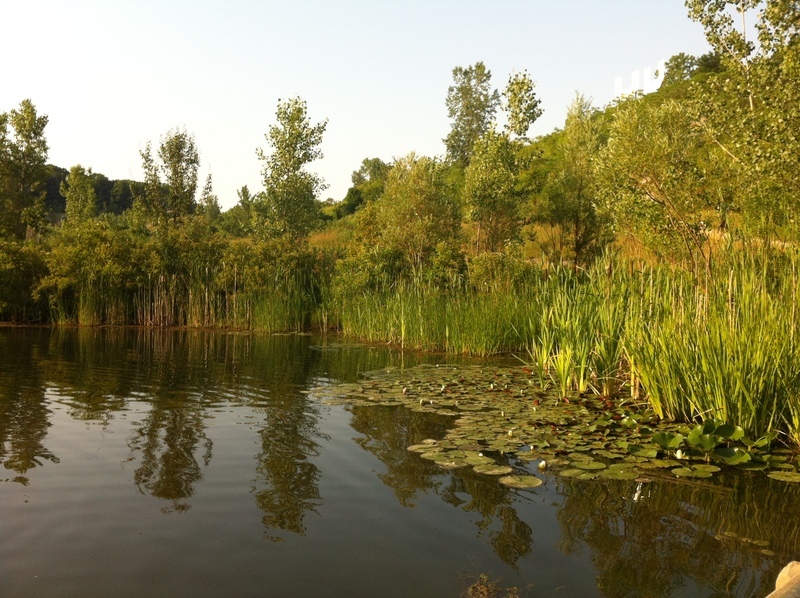 Can you believe this is downtown Toronto? 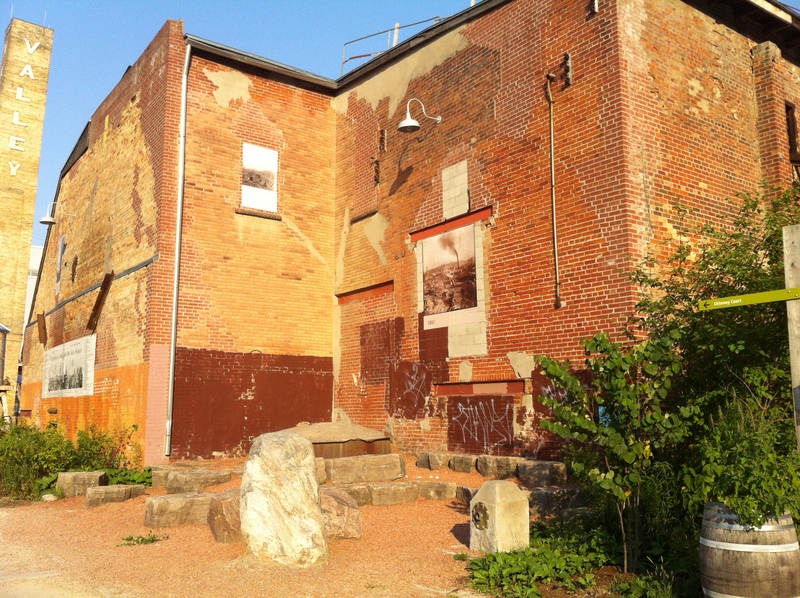 It was only a few short years ago that the Brick Works was little more than a neglected patch of real estate. 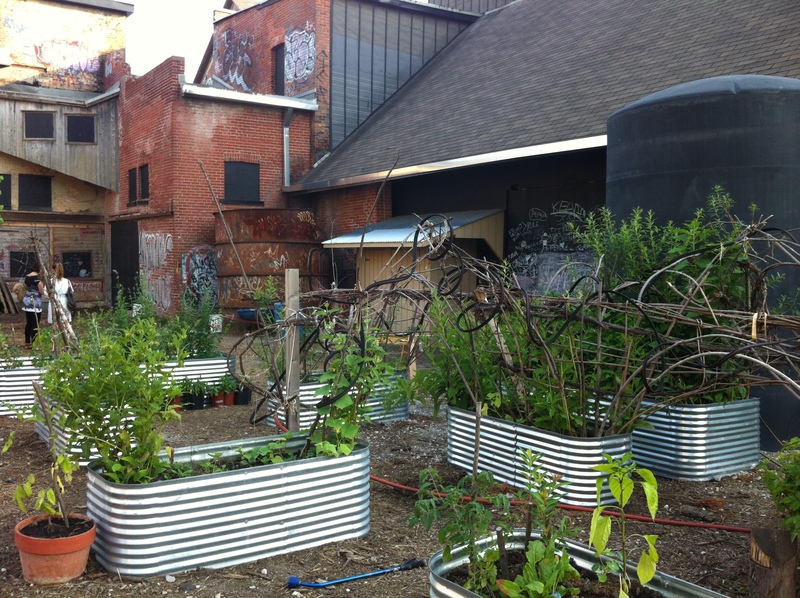 It is the site of a former brickyard, which was in business from 1889 to the 1980s, making bricks for some of Toronto’s most famous buildings, such as Massey Hall and Old City Hall. Although the site was recognized for its historical significance after the factory ceased production, it would take several years before the location would be transformed into what it is today. And what is it today? It’s a place dedicated to sustainable urban living, offering children’s educational programs, bicycle trails, an organic cafe and a weekly farmer’s market. But more than that, it is an example of how we can modernize a formerly abandoned space without overwhelming it. It’s a tough balance to achieve. Taking over run-down buildings and replacing them with sleek, modern versions of urban living is what we, as a society, tend to do. Even if we retain the original look of heritage buildings, we still tend to sanitize them in a way that often strips out some of the charm. But that’s not Evergreen’s mandate or style. The buildings are still sprayed with graffiti, pieces of brick machinery still live inside the buildings, and grass and plants grow wild around the property. It’s messy the way that nature is—and it’s beautiful because of it. The reason for my trip to the Brick Works was the June tweet-up of Toronto Travel Massive (the Toronto branch of a global group of travel-minded individuals, and which is too awesome to be justified by this quick aside). The event was hosted by the wonderful folks from Ontario Tourism, alongside lovely representatives from Wine Country Ontario, the Ontario Culinary Tourism Association and Ontario Craft Brewers, as well as two amazing chefs from Woodlot Restaurant & Bakery. 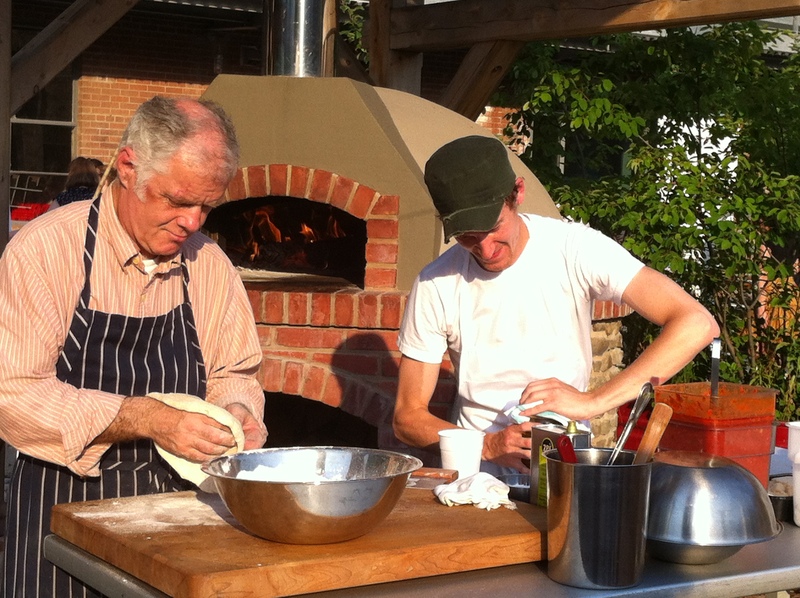 Woodlot chefs making the most amazing pizza I have ever tasted. Ever. And so, while it saddens me to say that this was the first time I had visited the Brick Works (despite the fact that I live in the Toronto region and the Brick Works has been open for several years), at the same time, it felt appropriate that my visit as a “tourist” in my own city would be hosted by the tourism commission of my own province. After all, this very fact represents one of the things I want to focus on with this blog. I always advocate that travelling doesn’t have to mean leaving the country, or even leaving your own city. Sometimes, there are amazing things to see just outside your door—like the charmingly wild, natural outdoor playground of the Evergreen Brick Works.